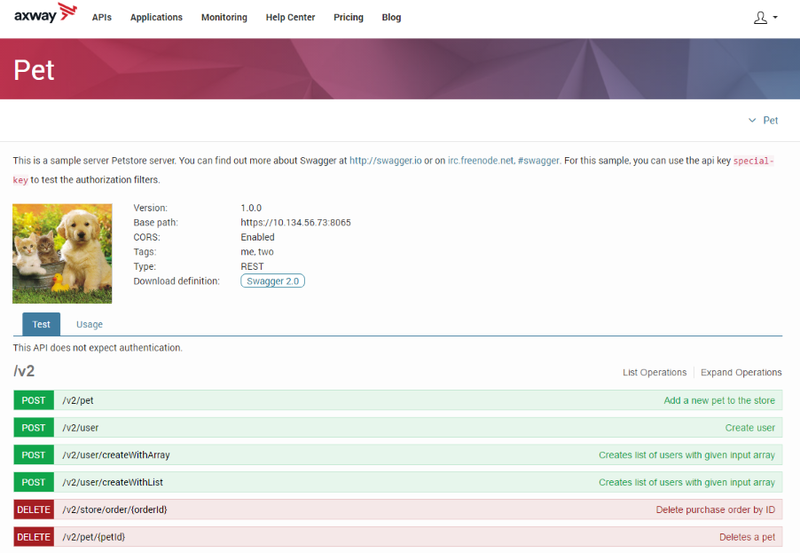 To view the details of an API or to test the API, click on the API you want or the Test button. The API details page displays the basic details of the API, such as name, version, base path, tags and available methods. On the APIs Catalog page, the View metrics link for a specific API opens the API's details page to the Usage tab, where metrics information for the API is displayed. See Monitoring for more information.